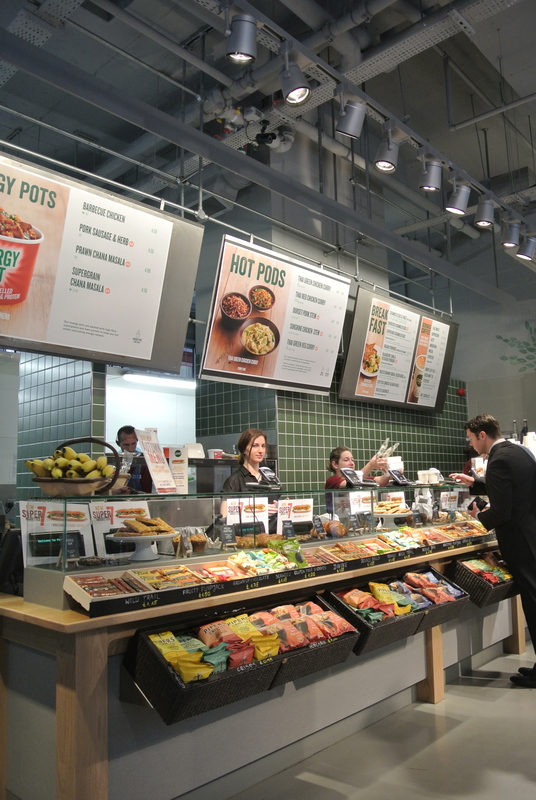 One of the biggest challenges out there is finding good healthy food on the go – key words “on the go”! As I walk around, there are so many food gems to discover in this cosmopolitan city. 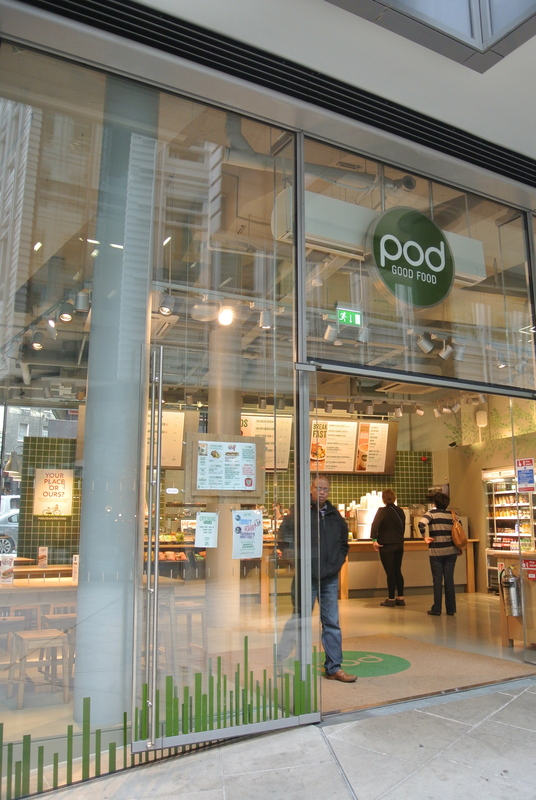 Across the street from our apartment, a couple of new office towers went up along with new restaurants on the ground level – one of them, Pod. 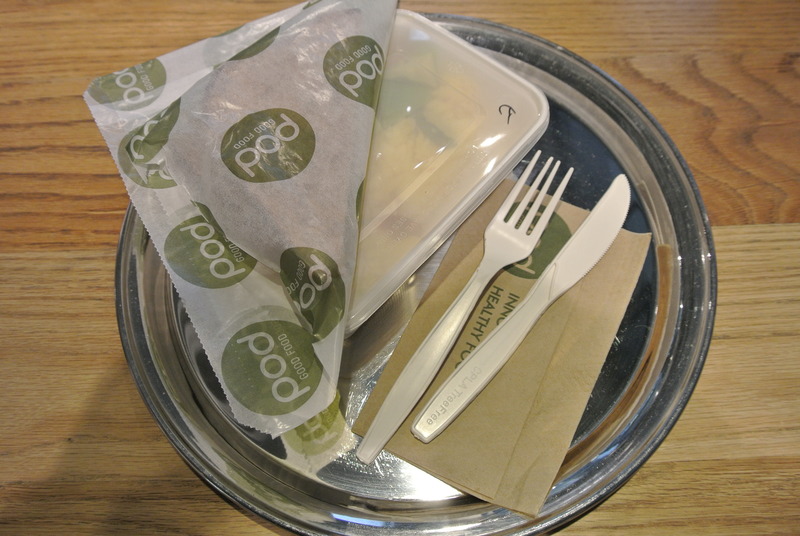 The idea here is healthy food served in compostable packaging. 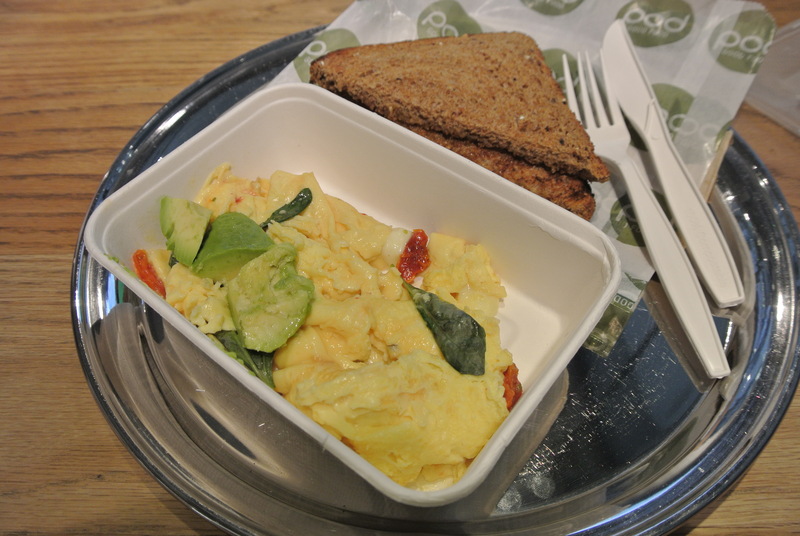 For breakfast, its eggs in many different ways – I ordered the Energizer Scrambled Eggs with avocado, mozzarella, tomatoes and served with whole wheat toast. It was a simple meal but exactly what my body needed and it was delicious! 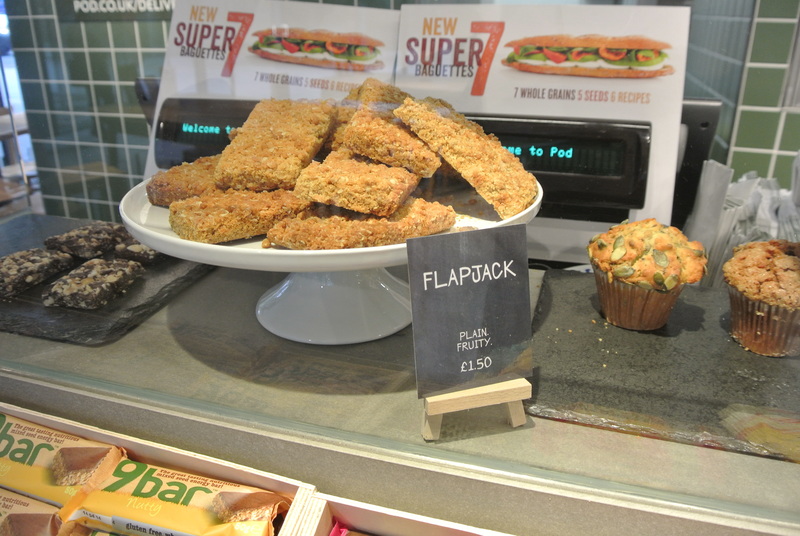 And for a snack, the flapjack. 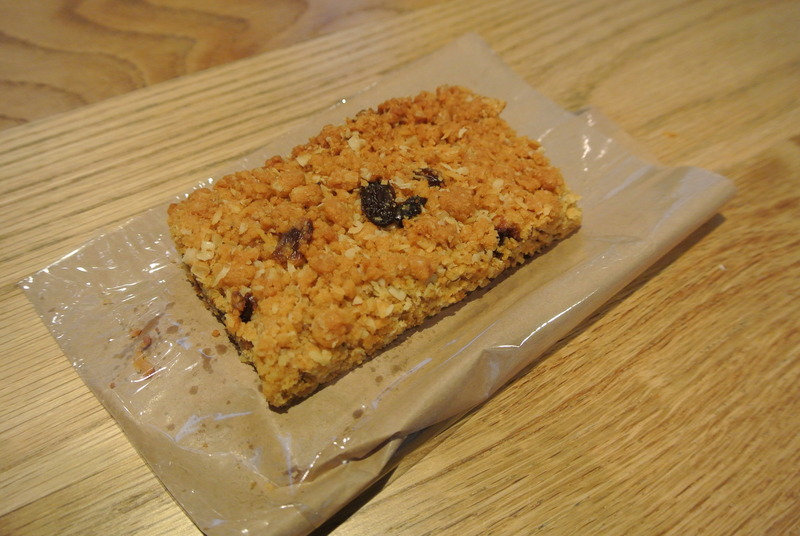 I’ve been seeing the “flapjack” all over London, so you know I had to try it….its like a homemade granola bar, just a bit drier.